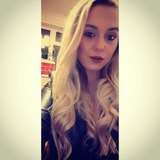 Hello, I'm Sophie I am 21 years of age and hold 2 and 1/2 years experience in care. I currently work in a supported living home for over 65's assisting with day to day tasks. I am confident and have high communication skills which I have acquired over my years of working since the age of 14. I am very dedicated to my job and reliable. I currently have no family commitments and would love to be considered for this vacancy. I'm based in Peterborough but willing to travel, I currently don't hold a full drivers licence but am hoping to achieve that in the next coming months of 2018.